These days we are becoming increasingly connected to our electronic devices and we strive to be faster and more efficient every day. Ordering furniture or other materials for your next show is time consuming. However it is important that you read carefully what is being offered by the show manager with your registration and check what you are missing to be all set. 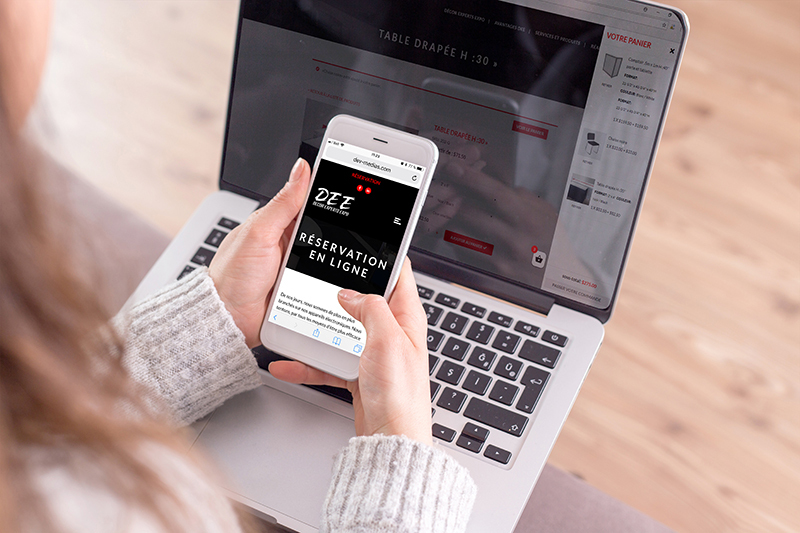 Décor Experts Expo is proud to inform their clients that a new online booking service, to order additional furniture, is now available. Whether you are on public transit, at home or anywhere, you can now access our new online booking service to finalize your order and be ready for your next exhibition. Be registered as an exhibitor at one of the shows who Decor Expert Expo is the official decorator. Have received the WEB link by the project manager of the show manager. Click the WEB link to start your online booking session. However, if you have difficulty accessing our online booking service or you do not have your WEB link, please contact us.